Nearwood Collector's Edition is rated 4.3 out of 5 by 117. 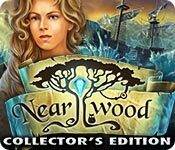 Rated 5 out of 5 by wildweasel from Outstanding Fantasy I really, really enjoyed Nearwood; there is not a factor of the game that I disliked, that I can think of. If you like "Fantasy" and "Animation" then you will love this game too. I can highly recommend Nearwood for everyone from Beginner to Advanced. Rated 5 out of 5 by JiggyGal58 from O.K. Here's the deal. With this game I have to make a confession. I have both the C.E. and the standard edition of this game. Why you ask? I'M IN LOVE WITH THE OPENING!!!! The game is great as many other reviews attest to. But even after playing the full game, which was awesome, I have left it on my active desktop just for THE OPENING!!! It is so sweet that with a little imagination you can be whisked away to another place and time. If the game was new I would not offer these remarks, especially since I'm far from being other than a beginner at computer games. But surely there are those that would consider an older game a good look-see at the amazing opening title video for it's meditative properties alone. Don't get me wrong. the game. as stated in these reviews is great.but at this point, though older, I encourage you to take a look. Really, it's awesome!!! 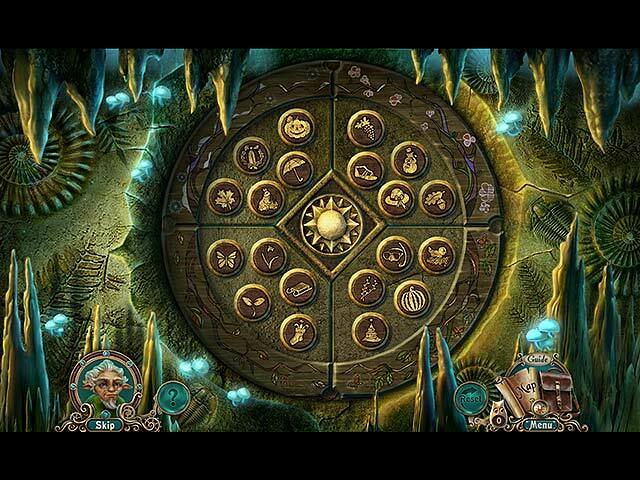 Rated 5 out of 5 by Raysar from Beautiful Magical Game This was such a visually appealing game. Simply beautiful and lots of fun with a few different things in it from other games. I still can't get over how stunning it was to look at. Rated 5 out of 5 by AforAllie from Awesome and Magical Game This is an awesome game. The opening of the game has you flying through a magical landscape. The puzzles are good, with some types of puzzles I hadn't seen before. 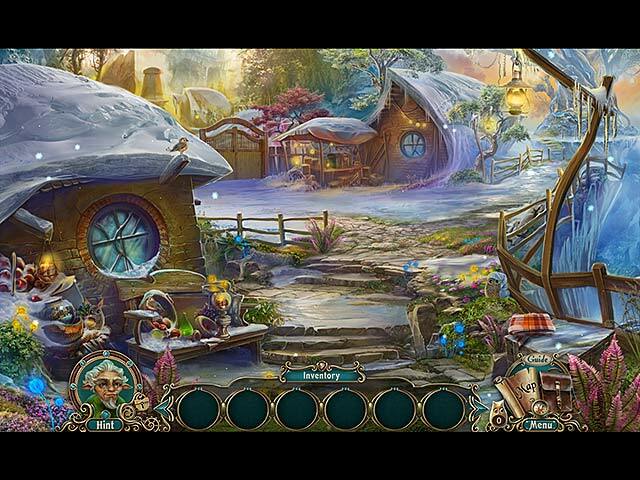 The storyline is engaging and there are some cute creatures to be found. One of the best games I have ever played. Rated 5 out of 5 by Kimmycoo from Most Beautiful Game on Bigfish! Before you even start the game, when your on the title screen. You can just sit there and watch as the camera takes you through the most absolute beautiful scenery you will ever see on a game or perhaps even in real life. I sat there for a good 5 minutes just watching the title screen. This game is gorgeous and I can not impress that enough to anyone. Some of the scenes "in-game" are truly breath- taking. This game captured me in so many ways. The music is EPIC. The voice-overs are brilliantly done, the story line is unique. I enjoyed collecting the little Snoop-zies throughout the game and in the Bonus Game, in order to unlock the pages in the Snoopzie critter book. Short of collecting the little Snoopzies, the beautiful wallpaper and the Epic music all downloadable, also the Bonus game which is short but worth it because now your in the snow realm, I would say its worth having the Collectors Edition. The whole game including Bonus chapter Id say ran about 6 hours. That rocks. Really to me this game was so wonderful, you even learned to actually love the little creatures and characters along the way. I would love to see another game in this line. A sequel. Well done game developers, I wish more developers would have the title screens as interesting and as beautiful and breathtaking as this one was. There was one scene in this game with the gazebo, 2 swans swimming in the lake, flowers all about, it was almost an exact replica of a Thomas Kincaid painting, in that scene to me, that is what Heaven has to look like. I could have sat and just stared at the screen. Such beauty. Loved this game!! 5 stars on everything! Rated 5 out of 5 by lepredot from Simply Breathtaking I've been playing these kinds of games for a few years now and I have to say this is probably the most beautiful artwork I've seen yet. The details that move the plot forward are also more original. The challenge level was enough to keep one's interest without making it discouraging. Of course everyone's taste is different but if you like fantasy and "cute characters" without them being too silly, you will like this game. I also enjoyed the music because sometimes the musical themes can be annoyingly repetitive. I found the music light and soothing and it didn't distract me. Most of all the artwork was simply breathtaking - as the story progressed the scenes became more profound in their beauty. The concept of the drawings were quite original. I was very impressed! Bravo to all the artists and game developers! Rated 5 out of 5 by tradmad from Cute without being too sappy Review based on the completed game and bonus chapter, played in Normal mode. I quite enjoyed Neverwood -- it's a fun little adventure game that's sweet with just enough darkness to keep your teeth from hurting. Yes, there are cute critters scattered throughout the game, but they're not so prevalent that you're constantly tripping over them. More importantly, they never attempt to talk to you. There aren't a ton of hidden object scenes in this game, and the ones there are, are generally fractured objects with silhouettes of the pieces you're looking for. Puzzles are pretty standard for this type of game, but at least there isn't a lot of repetition of puzzle types within the game. 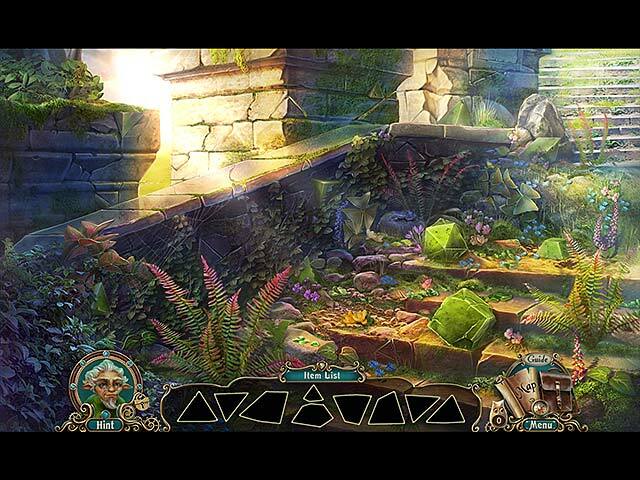 I found neither the puzzles nor the hidden objects overly difficult. I felt like the travel required back and forth between game locations is much more sane and less gratuitous than it is a lot of other adventure games, which I really appreciate. The game map is clickable, but it does require recharging between uses. Usually the only time this was an issue for me was when I missed picking up something in a location the first time I was there and had to go back to get it. How and where you use the objects you pick up along the way makes much more sense in Neverwood than in a lot of other adventure games I've played, which again I appreciate. As I got towards the end of the game, I did have a few "why on Earth would I use that for this purpose?" moments, but I noticed them precisely because I hadn't been thinking that throughout earlier gameplay. There were no achievements in the game, you just collect these little critters scattered around the scenes to unlock encyclopedia pages. I generally don't care about achievements, and I didn't feel like the encyclopedia really added much to the game. The bonus chapter felt pretty short to me. It is a separate but related plot to the main game -- nice to have, but certainly not required to have a sense of completion to the main game. In general, I found Neverwood to be a fun game. I liked the storyline, gameplay was generally logical, and the puzzles weren't overly difficult. It's not going to be a game for everyone -- if you like your games dark and/or challenging, you'll probably find this one a lightweight. I don't regret buying the CE, but I don't think the extras would be worth the higher price for most people. (I think the developers put together a good enough game that I don't begrudge them the CE price. I'd consider it a really good value for the SE price.) I'd absolutely recommend the SE to anyone looking for a nice, relaxing game for a lazy afternoon. For the CE, I think you have to be someone who really likes somewhat fairy tale-esque game plots without looking for a lot of challenge in your game play. Rated 5 out of 5 by howong from Great hybrid adventure / hidden object game (mostly adventure) Time Played ~9 hours (Collector's Edition, which adds maybe a couple hours) Difficulty: Almost just right (blackbar tips are a bit too obvious some times) (blackbar tips are the text that shows on the top of the screen when tapping on an interactive item) This game looks great (the world is absolutely fantastical and marvelous to see), sounds great (great sound FX and voice acting), the extras in the Collector's Edition are great (a very neat side story book about some of the little furry creatures in the game, and great bonus content including many fun puzzles), the mood is very positive and charming, some of the puzzles were quite refreshing (new, that I hadn't seen in other casual adventures), and the focus is clearly _not_ on hidden objects (although there are a few, they are relatively painless to go through and objects are listed as silhouettes rather than as pure text), and finally the story is also very good and interesting. Also, I like that the game is suitable to all ages, I believe, as there is not very much violence in the game (there's a bit of spell casting later on, but it doesn't seem to be of the "lethal" kind). This game is worth your money. Go get it! Rated 5 out of 5 by whidbeyartist from Best ever! I am a fan of the Awakening series but this one topped that series. Great graphics, great story. Long game, some different type puzzles. All the ease you need, maps, hints, and this game was like watching a fantasy movie but you get to be part of it. The puzzles were doable but you had to take the time to puzzle! them out. It is a long game and the extra chapter was worth buying the collectors edition. The only thing I was disappointed about was that I couldn't access the games when it was over.